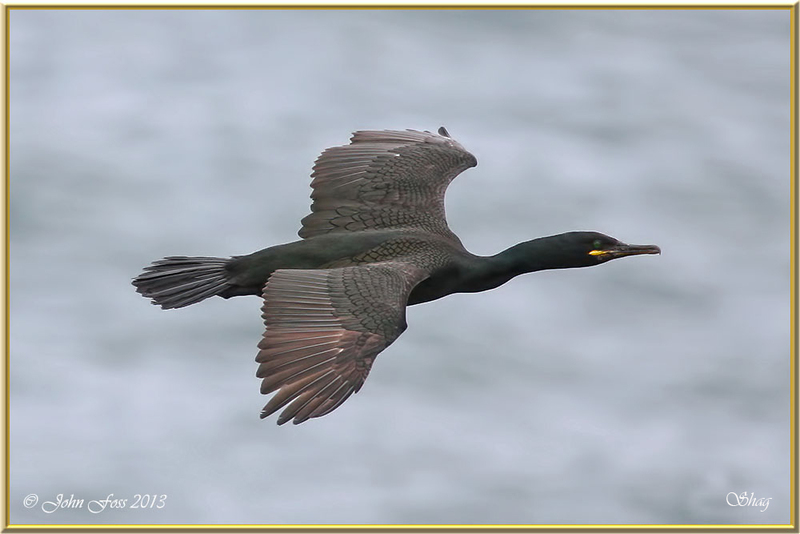 Shag - Often difficult to distinguish from Cormorants at a distance. 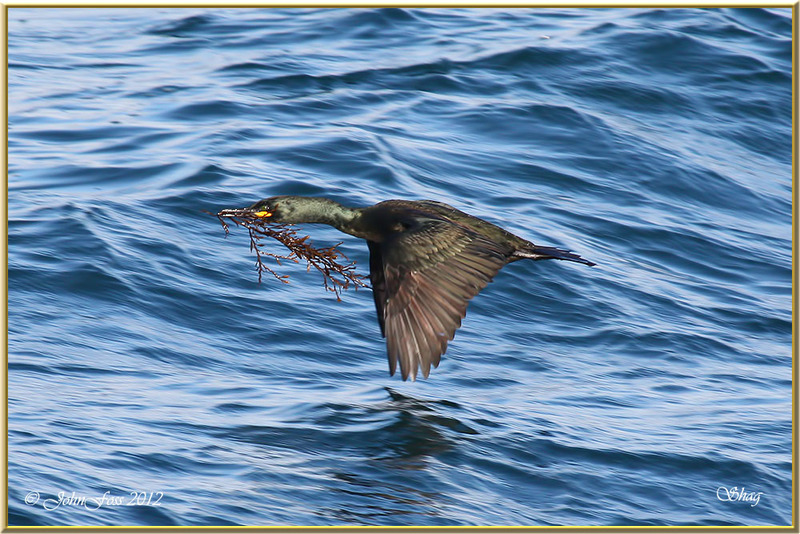 At close quarters like this, the Shag is a metallic green colour with a more prominent patch of bare yellow skin at the base of the beak. They dive for their food, feeding from the bottom of the sea. A variety of fish are taken, but particularly the sand eel. These were photographed at Aughris Head Co. Sligo.